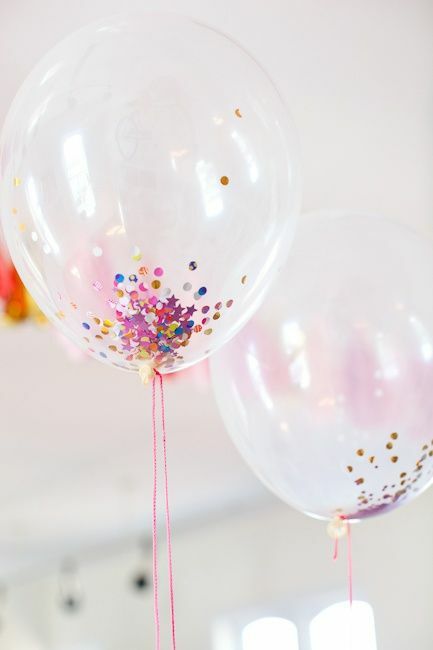 5 DIY Party Projects I Fully Intend To Do....Someday. Photo by Kasia Sykus; Originally posted here. 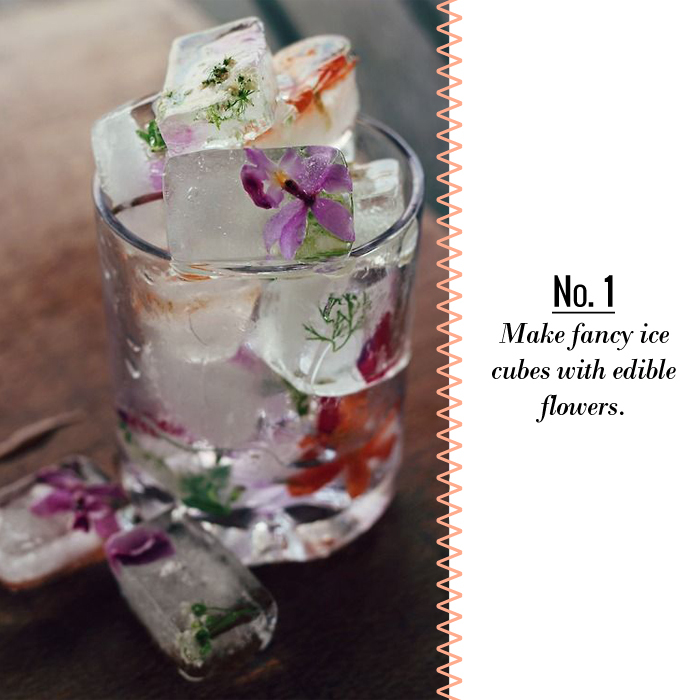 Edible flowers delicately suspended in ice cubes....for the most glam cocktail you've ever had in your entire life. 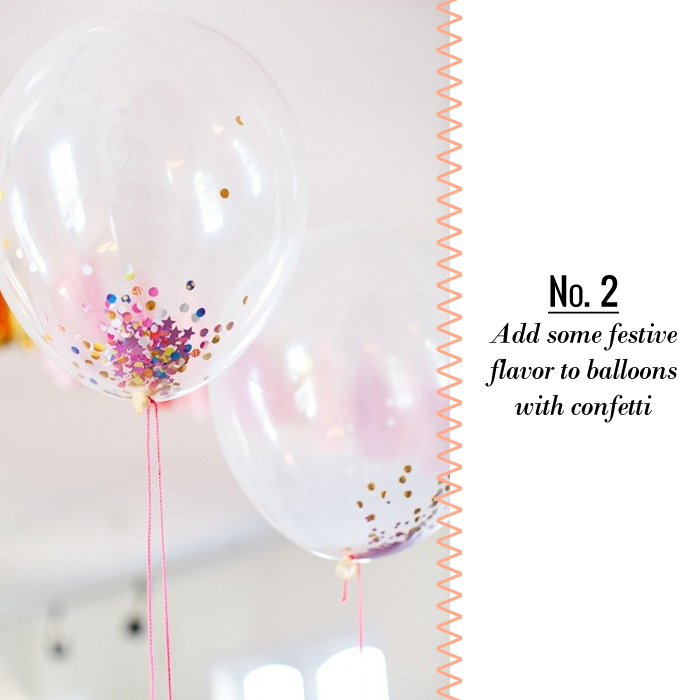 Easy peasy confetti filled balloons....it would be super fun if you made tons of these and filled up a room. Bummer if one pops though. Just have the dust buster on the ready. 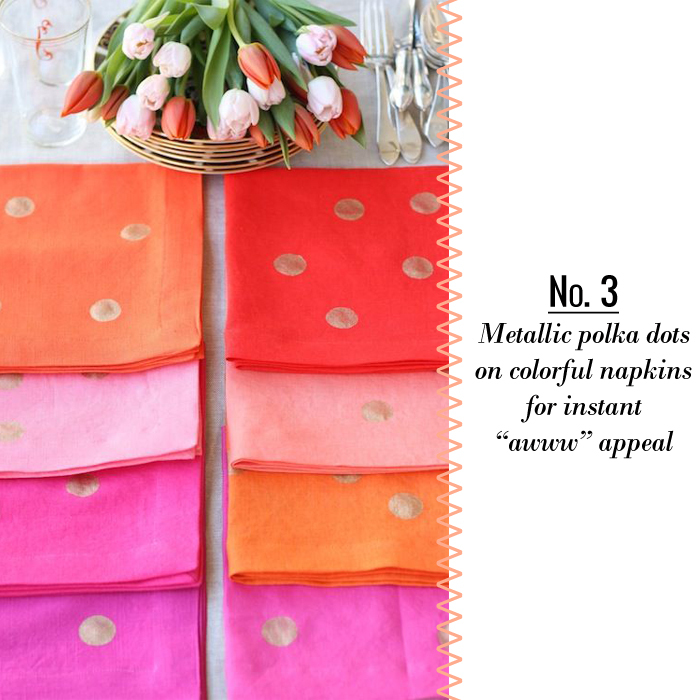 ....and napkins dotted with gold paint to match. I am smitten with this bright neon color palette. Feels so perfect for summer. 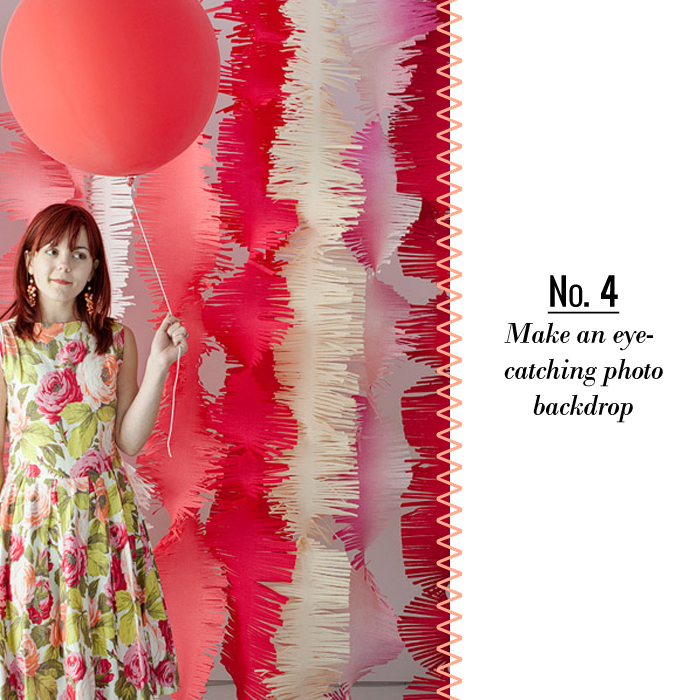 This huge fringed chevron garland would add such a fun atmosphere to any party. A huge impact without too much work....just lots of snip, snip, snip. 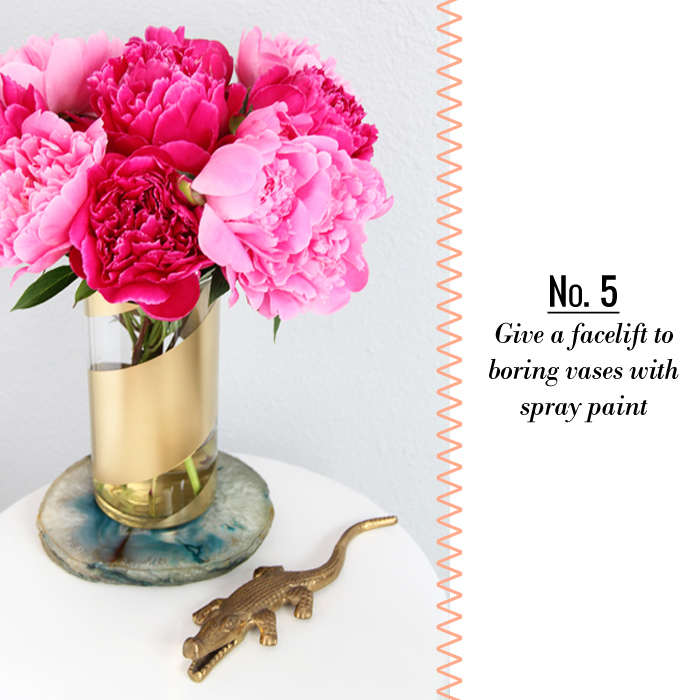 Now you'll have to excuse me while I raid all the plain old vases at the thrift store and get them ready for a little metallic paint facelift. I seriously love ALL of these. The ice cubes are just so pretty. I'd cry when they melted.